We are well known in the market for providing an array of Woven Label. These are manufactured by the use of quality yarns and fabrics. Very attractive in colors, our labels are available in different sizes and shapes. 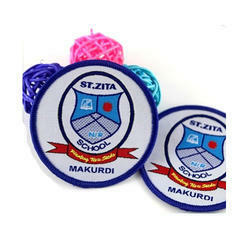 We have marked a dynamic and unique position in the market by providing a high quality range of School Monogram Woven Labels. 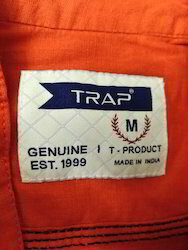 Also, these offered labels are tested against manyquality norms in order to ensure its supreme quality. Our offered product is available in various designs and specifications to meet the requirements of our clients. We are a most trusted name amongst the topmost companies in this business, instrumental in offering high quality array of Woven Label.